Camelia is a Bergère armchair characterised by a classic style, which features a simple and typically traditional design and a particularly high and comfortable back, made even more eye-catching by the original side big ears that distinguish, as always, this charming version. 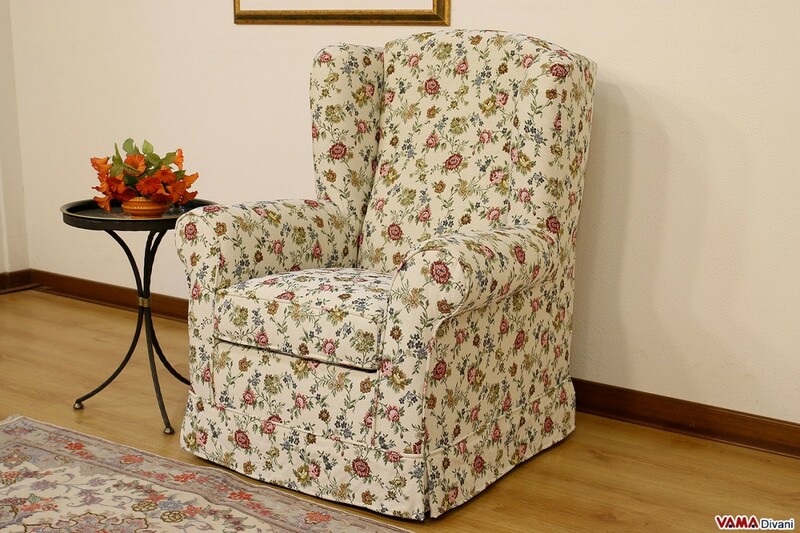 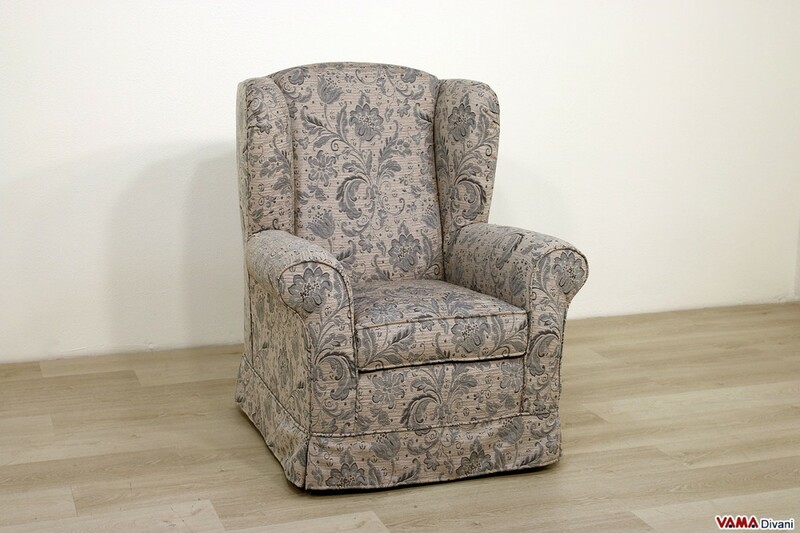 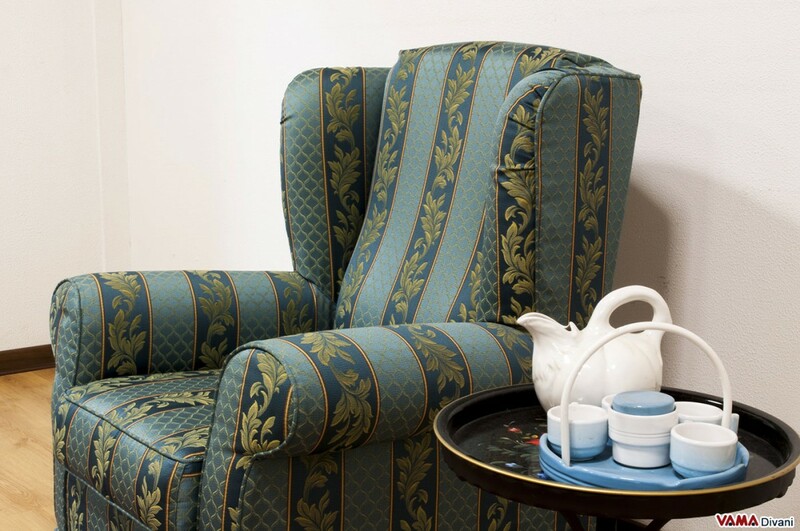 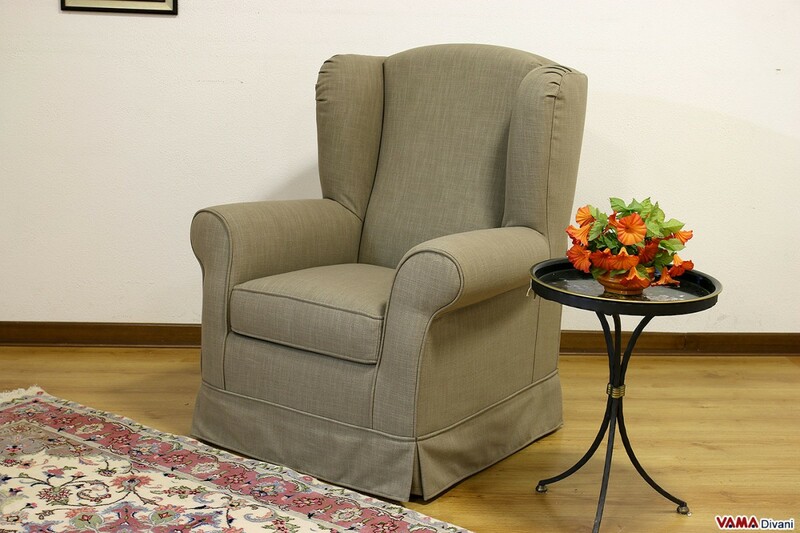 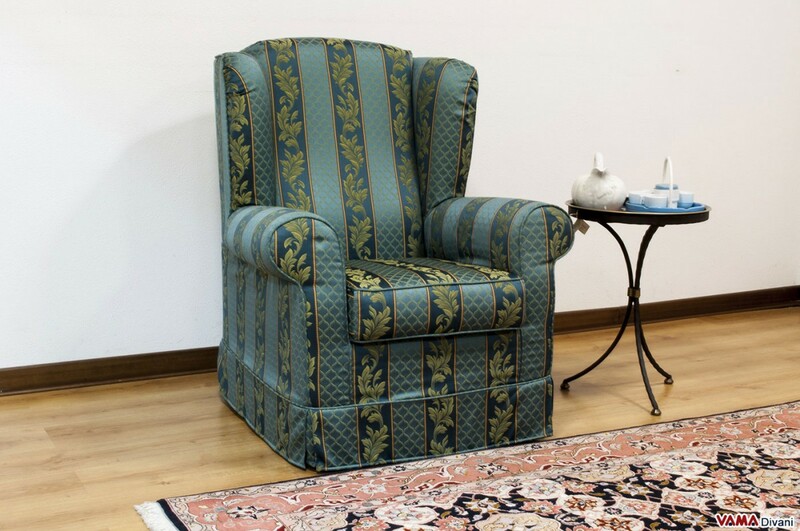 This fabric armchair is embellished with a smooth skirt covering its feet and many other interesting design details, and, moreover, it presents a completely removable cover. 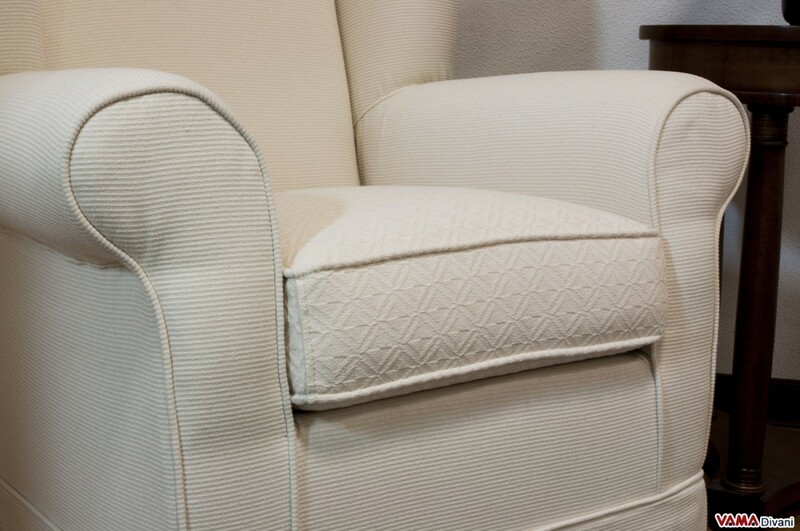 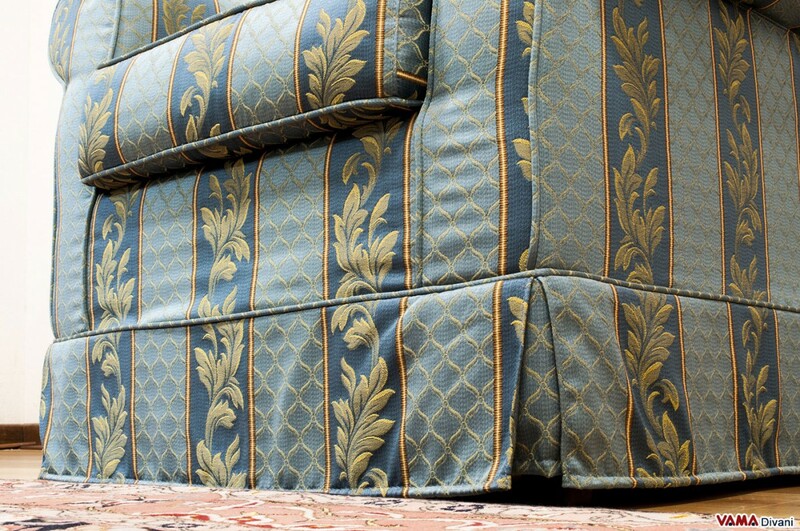 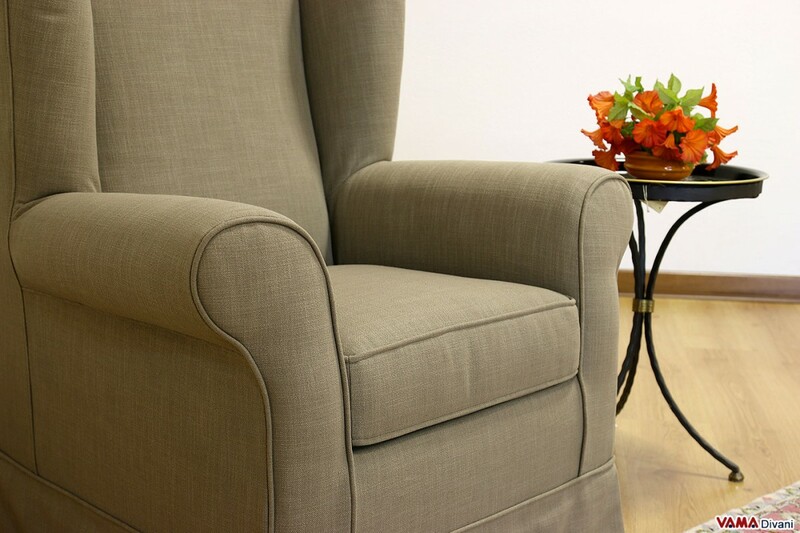 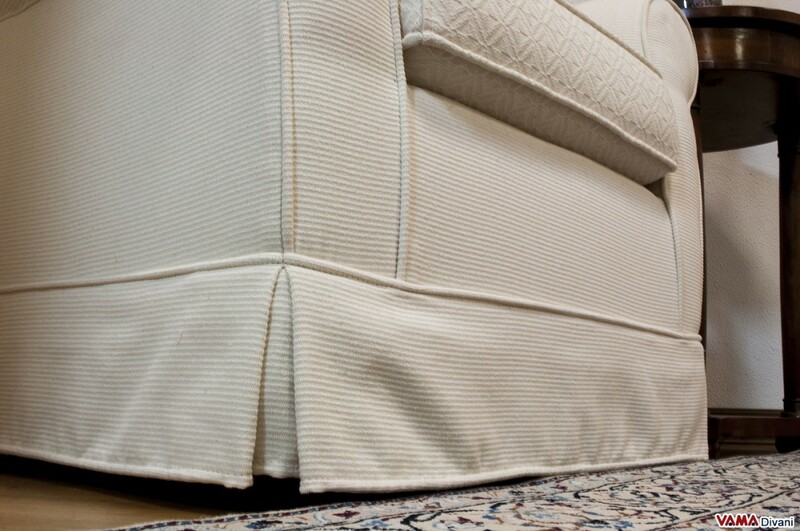 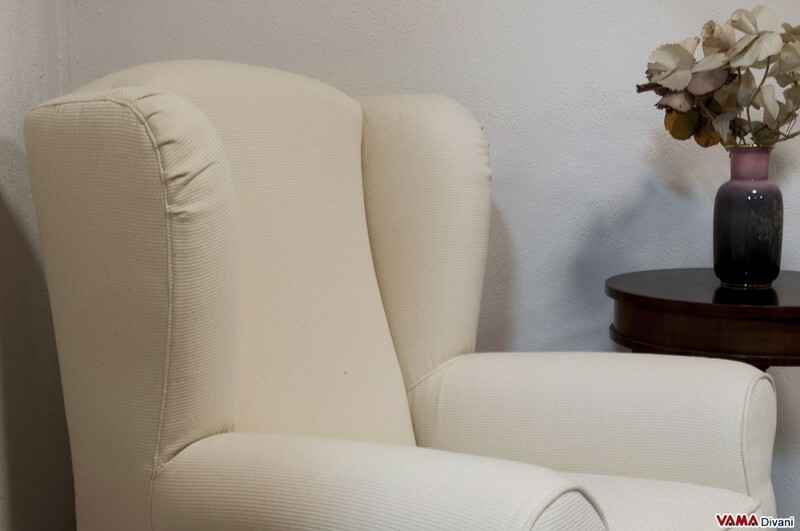 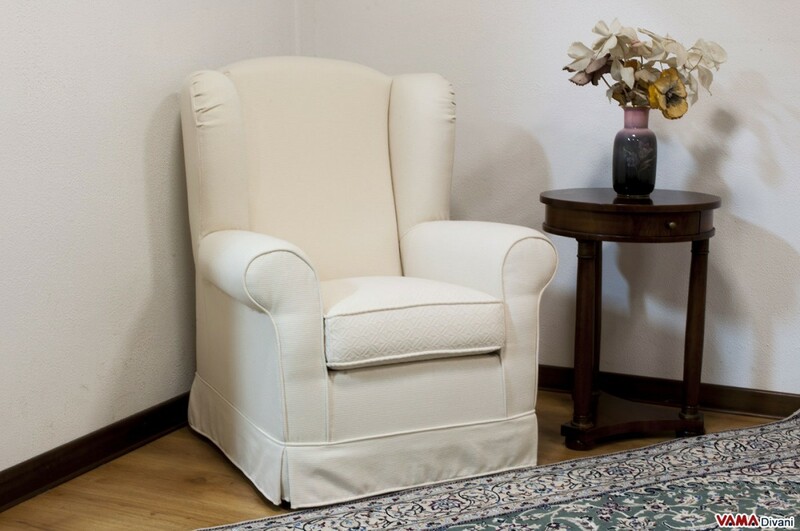 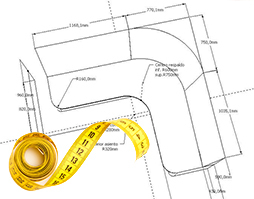 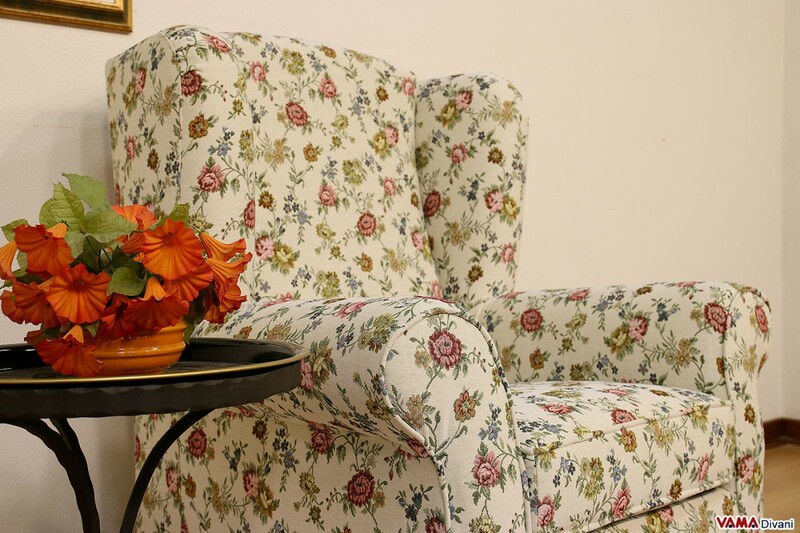 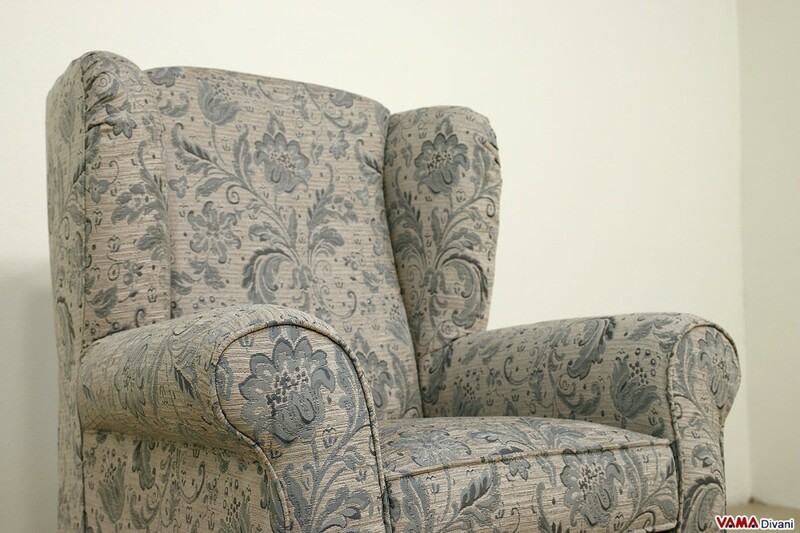 The opportunity to easily separate the upholstery from its padding allows you to wash the fabric in your washing machine, as if it was a garment, this results in very simple and periodic cleaning of your armchair. 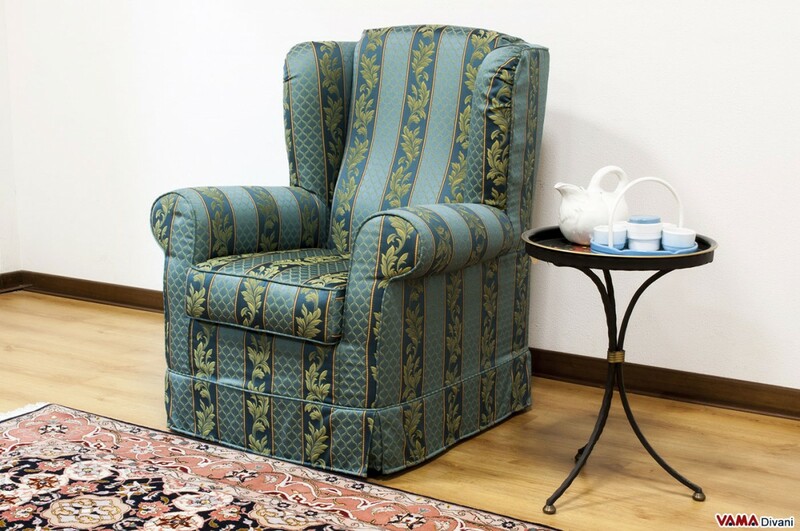 This Bergère armchair can be successfully placed in many different environments: perfect for classic living rooms, Camelia is also ideal to be placed in a bedroom or in any other room of your house.